Peter Roebuck, the cricket commentator and columnist, has died in South Africa. South African police today released a statement confirming that Roebuck took his own life. “There was an incident around 9pm on Saturday night when a British citizen who is a cricket commentator committed suicide by jumping from the sixth floor of his Claremont hotel. He died on impact,” Western Cape police spokesman Frederick van Wyk said. Roebuck, 55, was in South Africa covering Australia’s Test tour, including as a radio commentator for ABC. He was spoken to by local police on his return to the Southern Sun Hotel Newlands on Saturday night after he had been out to dinner. A statement issued by the hotel said “an incident that occurred at Southern Sun Newlands” was currently under police investigation. No further details were given. His managing editor, Ian Fuge, called Roebuck’s death a “a devastating blow to all at the Sydney Morning Herald both professionally and personally”. Paul Ramadge, editor-in-chief of The Melbourne Age, where Roebuck provided much trenchent commentary work, said his death was a massive blow to lovers of cricket writing. “In every generation of sports writers, usually someone stands up as an exceptional talent. 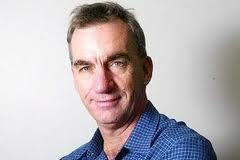 When it came to commentary on cricket, Peter Roebuck was that talent of his generation,” Ramadge said. Roebuck was born in Oxford on March 6, 1956, the son of two teachers. He was schooled at Millfield, the Somerset sports academy where he first showed his cricketing aptitude as a somewhat cerebral, upright and obdurate middle order batsman, who would win his Blue at Cambridge, where he read Law. After making a first-class debut in 1974, he grew into an accomplished batsman with Somerset, going on to captain the county. In 1989, he was one of only two English batsmen – the other was Mark Nicholas – to manage to score a century against the touring Australians, edging him closer to a place in an England batting line-up that included Gooch, Gatting and Gower. But a try-out as captain of an England one-day side resulted in defeat to the Netherlands, and Roebuck never won an international cap. He was, in any case, already enjoying a parallel career as a sportswriter, though not without its perils. In one tribute: “Roebuck occasionally reflected that he shouldn’t have criticised Richard Hadlee in the lead-up to Somerset’s County Championship match against Nottinghamshire in 1986. In 335 first-class matches, Roebuck made 17,558 runs at 37.27, with 33 centuries. Roebuck scored 1,000 runs in nine out of 12 seasons and was Wisden Cricketer of the Year in 1988. His playing career was overshadowed by a bitter and drawn-out feud with other members of the Somerset team, when as captain he was instrumental in 1986 in refusing to renew the contracts of Joel Garner and Viv Richards. As a consequence, Ian Botham refused a new contract, and went to play for Worcestershire instead. The dispute overshadowed Roebuck’s relationships in English cricket thereafter. Although he began his journalism career with the Sunday Times, following a conviction for common assault, Roebuck would ultimately base himself in Sydney. It Never Rains, his journal of the 1983 season, had established him as one of cricket’s most insightful voices even as a young batsman, and he would go on to write numerous other books, including an account of England’s Ashes success in Australia in 1986-87. Another colleague, Peter English, wrote this of his friend: “Two weeks ago he wrote that in retirement Simon Katich would enter the most challenging phase of his life. Twenty years after Roebuck’s last first-class game he was still struggling and often despairing, searching for something to fulfill him. “He had tried funding orphans in Africa, sending them on to university and successful careers. He’d been a de facto grandfather and cricket coach. Of course there was his prolific writing and his never-to-be-replicated style. There’d been properties a few minutes from Bondi Beach in Sydney and Straw Hat Farm in South Africa, along with intermittent dreams of a shift to India. Michael Coward, am Australian cricket press box colleague and rival for 25 years, said, “I felt he gave all of himself to cricket and cricket-writing, at times his detriment. “I found him to be a fine, fearless and insightful writer who helped to shape the style of cricket-writing in this country over the past 25 years.